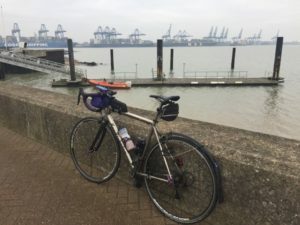 Since having my bike fall on black ice I have been unable to do much running, so training for my half marathon has not gone as planned. 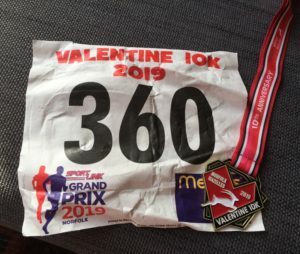 I have kept my legs turning with an occasional couple of miles and Parkrun but then I decided if I had any chance of running the valentines 10k and half marathon I needed to give my back a proper rest and hope my legs would just remember how to run. I also booked in for some treatment with Jane at Free your Body Therapy. 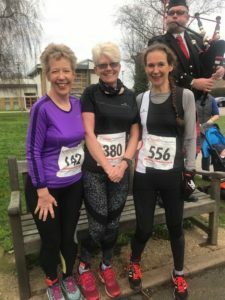 The first test for my back came on the 18th of February when in perfect weather conditions, I met up with my Norwich running friends for the Valentines 10k, we decided to run together take it steady and have a chatty enjoyable run and that is just what we did. 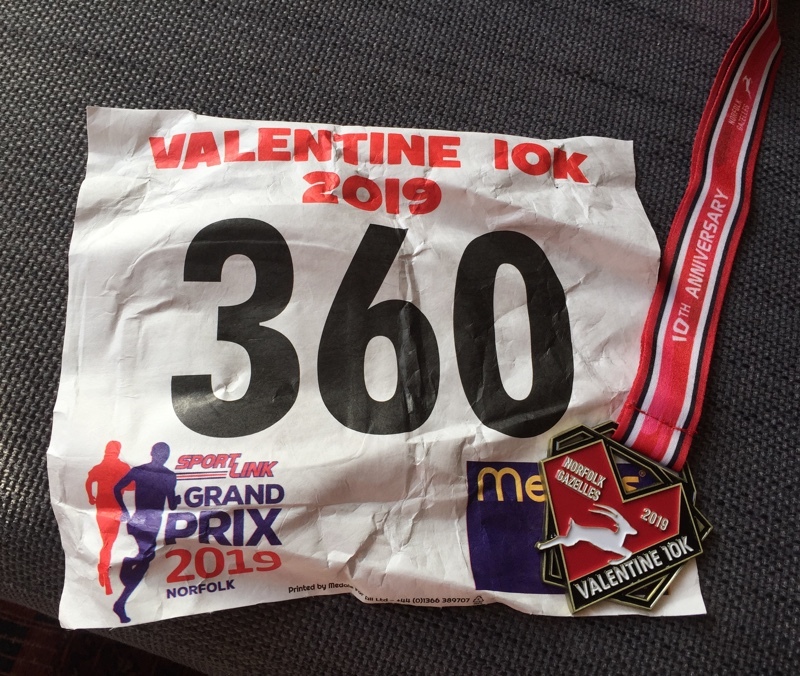 I was happy with the results, my time was 1.05 and my back just ached slightly. We then went and enjoyed a Delicious Sunday lunch at The Marlingford Bell where many other exciting adventures were discussed. 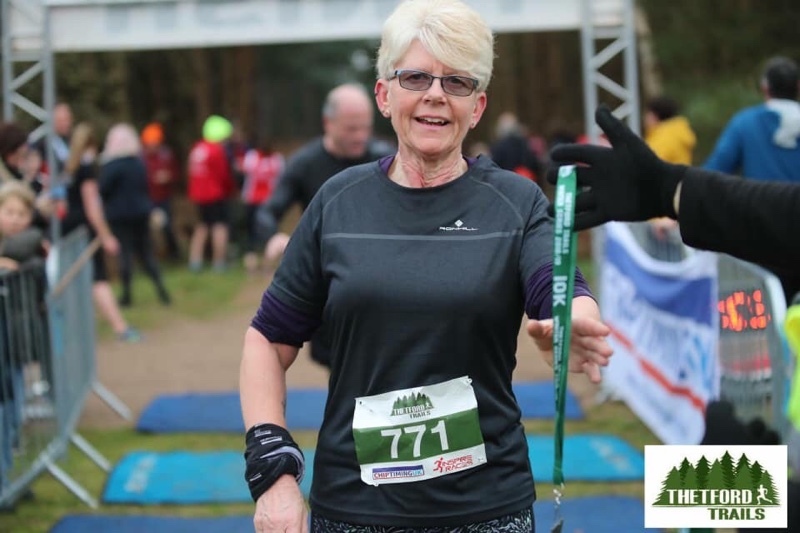 Apart from Parkrun, I have now had another 2 weeks rest and a few more treatments from Jane, tomorrow she is taping me up and I hope I will be able to get around the Cambridge Half Marathon….. legs, back and weather allowing !!! 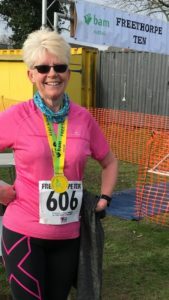 This entry was posted in 10km, Friends, Half Marathon, Parkrun, Runs on February 28, 2018 by Sally. 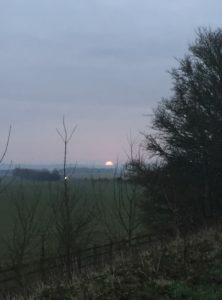 After a late night seeing the New Year in, I was up early with Geoff so we could get over to Wymondham to meet up with my running friends. It was great to see everyone but I was certainly not feeling my best after overindulging the night before. My legs didn’t seem to want to work either, 5 hours sleep obviously is not enough. 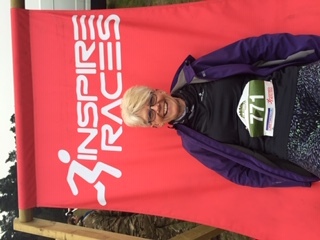 The 10k felt really hard especially with the few nice hills on the route but I did it, then enjoyed catching up with my friends over a lovely lunch where there was much fun and laughs. 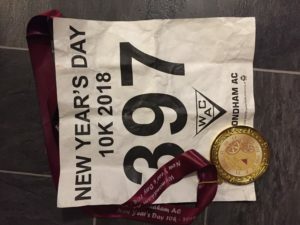 So 2018 started well with a nice bit of bling but would I do it again, maybe not! Unfortunately a few days later on a TTT ride, after hitting some black ice which was totally unexpected, I came off my bike along with 4 others. Luckily none of us was badly hurt and we all managed to cycle home. 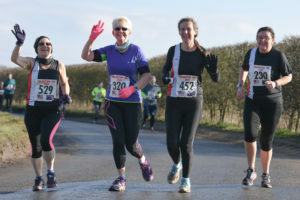 Valentines 10k, Cambridge Half, LDWA Daffodil Dawdle, Biking in Mallorca, GEAR 10k and Nottingham 10k. and I need to get training !!! 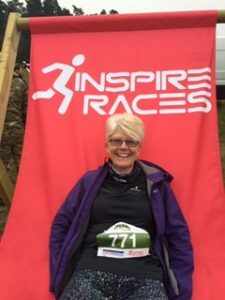 This entry was posted in Events, Friends, Personal, Running on January 10, 2018 by Sally. 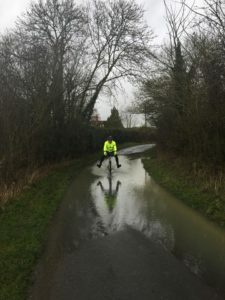 Its been a disappointing December for bike mileage due to the bad weather and Icy conditions but today to end the year perfectly we clocked up a good 70 miles on the bike, many of the roads were flooded after the heavy rain but luckily no ice today. Although that has been the only disappointment this year, everything else has gone to plan and I have enjoyed many happy adventures with my friends and Geoff. 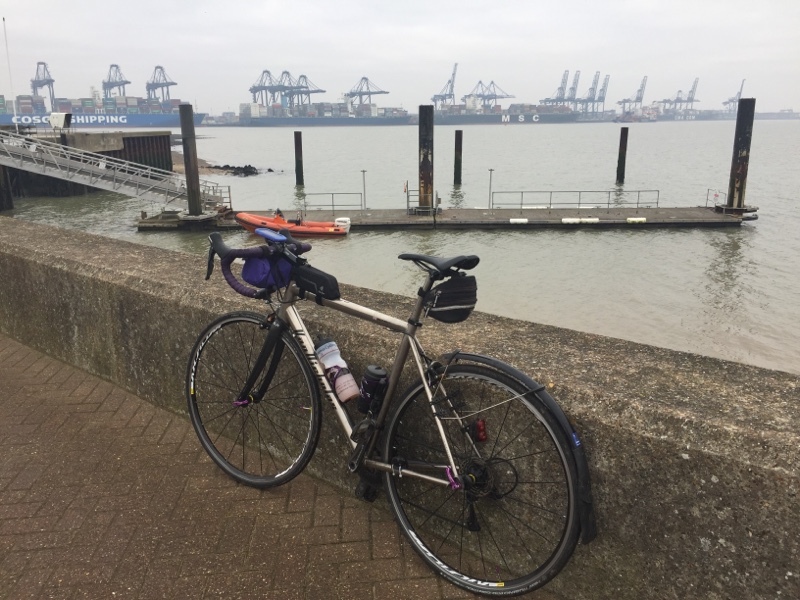 The highlights had to be The Lap Of Anglia and cycling from my house to Edinburgh with Geoff,as well as running two fab half marathons. 2018 is promising to be just as exciting with many events already booked up, in fact, my diary seems busy right up until August which is rather exciting. 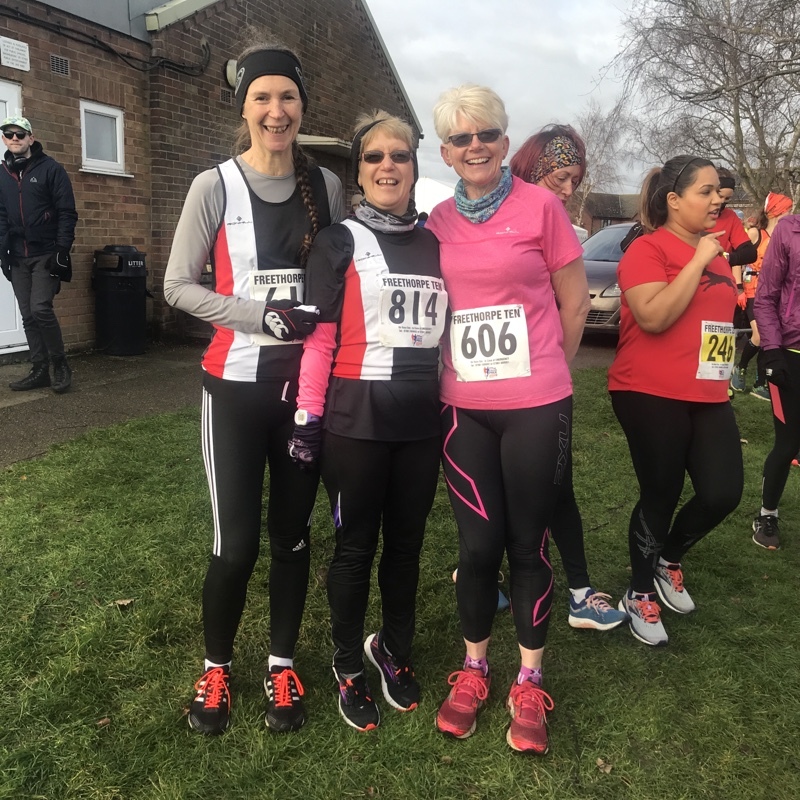 2017 finished with a ride so 2018 must start with a Run, the Wymondham 10k with friends the object now is not to drink too much tonight !!!!! 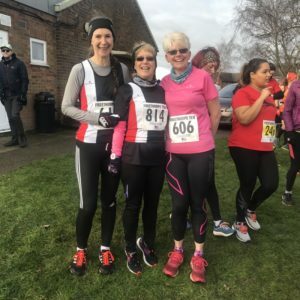 This entry was posted in Biking, Friends, Lap of Anglia, Personal, Running on December 31, 2017 by Sally.